The theme of this week was superheroes! The kids are off the spy kick and they are now all superheroes. Curly insists that Tiger is Rose Red but he strenuously objects to that superhero name. Curly’s name had something to do with pink and Bee was all about blue. Not super creative names, but whatever! I will say I’m really enjoying the super hero theme. When we have clean up time, they tell me that they are super speedy-and you know what? They really are! I hope I can keep these superheroes around for a few more weeks! When she’s taking a break from being an awesome super hero, Bee has been taking care of her babies. She has set up the tent as their house and has beds for each of them. She even cooks them food from the play kitchen. She’s a compassionate and caring superhero…….. The kids have surprised me and now know almost all the New Testament books as well as the Old Testament books. I credit the AWANA Sparks CD that they listen to every night. Yay! 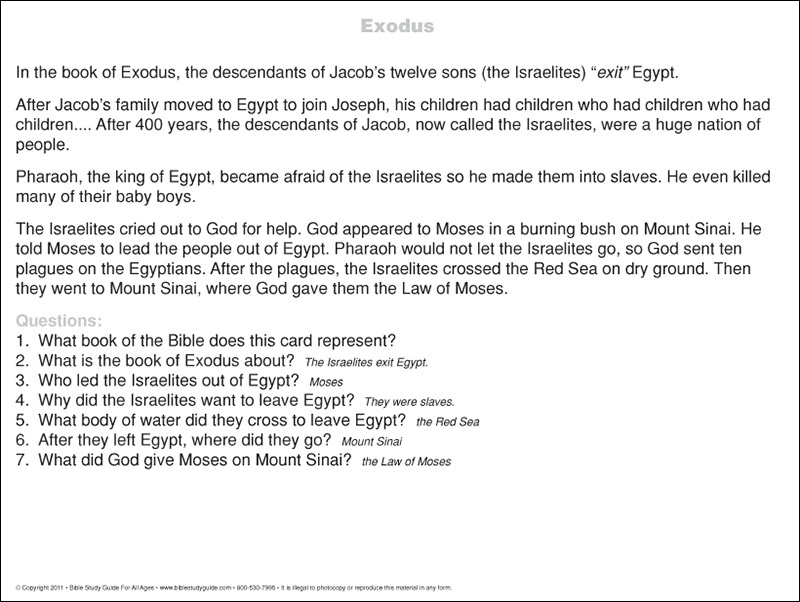 We are now adding in the Bible Book Summary Cards from Bible Study Guide for All Ages. We are starting with Genesis. The back of each card has information about that book of the Bible as well as review questions at the bottom. I read the back of the Genesis card several times during the week and by the end of the week, they could all answer the review questions on the back. 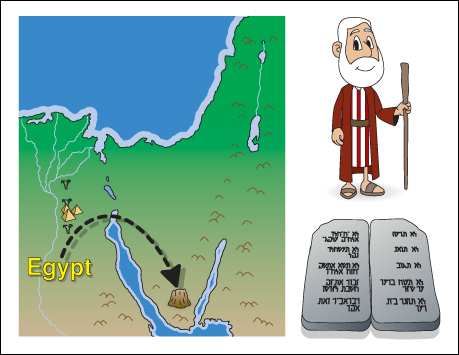 Next week, we’re tackling Exodus! And no, I’m still not caught up with Tiger’s Bible story book. We’re still working on that! But now I’m thinking about character training. We need something. I thought I would just wing it with character qualities and Bible verses but that’s not happening. I’m going to have to find something more planned out for me. Where to begin???? Curly is continuing on with the theme of thousands. This week we learned about adding together numbers in the thousands. She learned about carrying! It took a few tries to explain to her that she could only have 0-9 in each place. For a while she insisted that she must have 9 in each place value. Once she finally understood it could be any number up to 9, we breezed right through. She gathered up each group of 10 and traded them out for the next place value. Her 10 units were traded for a tens card and her 10 tens were traded for a hundreds card. In the end, she had added her numbers and had come up with a new number. She was so proud! We did all the math with the block picture cards and the place value cards but I know that when she’s actually putting her math on paper, the concept will still be there. Bee has been learning patterns and more patterns and more patterns. She copies a shape or color pattern and then completes it. She’s doing really well! Curly is still making progress in All About Spelling. She’s making fewer silly mistakes and she’s paying attention to the words she’s spelling. We still have total breakdowns during spelling sometimes. But I think we’re on the right track. For a little extra, we’ve added in some poetry studies using an Evan Moor workbook. Curly really enjoys Evan Moor workbooks-she’s just a workbook girl sometimes. We’re analyzing a couple poems each week and using the workbook as a jumping off point for discussions. It’s been a fun introduction to poetry that is easy to follow for her and easy for me to implement. This week we talked about alliteration. Tiger read 2 new stories from his All About Reading reader this week. He’s doing so well! I also printed off some free phonics readers from this site. He and Bee colored them and then he read them to Bee and Curly for our bed time story. He’s so proud of his new reading ability! Bee has been practicing counting words in a sentence. Then we progressed to counting and clapping syllables. And yes, we’re still playing the rhyming games. We also spend some time doing logic exercises at our house. Curly has enjoyed Lollipop Logic book 3 and has now moved into Logic Safari. She loves the logic grids! This week she created several logic puzzles for Daddy. She would leave them under his pillow. Dad even created some for her to do-it took both of us to figure out his! This week we read The Tale of Three Trees. Such a wonderful story for the Christmas season! We also added back in readings from The Story of the World. I didn’t realize how much I missed reading the chapters as scheduled in Tapestry to tie things in together. This week we read about Constantine. Round 2 of trying to order my ladybug larvae………..and I discovered that after the long weekend-and the major clean up I did in the homeschool room-I lost the coupon for my larvae. Yes! It is completely missing! I just want my ladybugs!!!!! I called Prince Charming and told him that he was going to have to help me-that I was losing my little pregnant mind! He sweetly offered to call the company and place my order and just pay for the larvae. Miraculously they answered and took his order. So, somewhere there are some ladybug larvae in the mail and on their way to me. Finally! I decided to just move ahead into our study of ladybugs. We’ll read about them now and just observe them later! I was sick of waiting! So, Curly learned about the characteristics of ladybugs and how they change from egg to larva to pupa to adult. The larvae are strange looking little critters! In Apologia, we finished our chapter on flowers. We learned about all the different animals that pollinate flowers and how some flowers even self-pollinate. And I am proud to say that we started narrating the sections. I have given up on the botany junior notebook journal as the format just isn’t working for us. All we need is some blank paper, a pencil, and some crayons. Much simpler and much more doable!!!! We studied about Leonardo da Vinci this week. I was so proud of Tiger when he said, “Um, Mom, he painted the Mona Lisa!” Um, yes Tiger, yes he did! We painted self portraits since da Vinci painted so many excellent portraits. Tiger and Bee also spent a lot of time destroying my stash of colored yarn. I gave up even trying to rescue it. Scissors + yarn = hours of fun for them (and more vacuuming for me). I think we’ve had a bit of a breakthrough with Ladybug this week. When she wants something she signs “more please.” We’ve had much less of the screaming and she’s learned that she can get what she wants through asking. Things are so much more pleasant here! Now if she would just talk more……. Ladybug is also into destroying her books. If she has a lift the flap book, you can know for certain that she’s ripped off all the flaps. She loves to read and loves looking through the books but she really enjoys tearing them to pieces! And as a sidenote: You know how many parents have one of those horror stories-the my baby took off her dirty diaper in her bed-type of horror stories. Well, I guess you’re not really a full-fledged parent until you have one of those. I have achieved a new level of parenthood. I now have my own dirty diaper removal in the crib story. That day included lots of bathing and laundry. Wow! Thankfully, I still have my superheroes to help me with clean up times! Wish you were at my house, the ladybugs are in full swing since it's mating season for them here. They are everywhere! Sounds like your superheroes are having tons of fun. They might enjoy the neat educational games at Learning Games for Kids. They seem to have most subject areas covered, and best of all, the site is free! My only recommendation for character training curriculum might be Focus on the Family. They a good program you can use for free. I LOVE Focus on the Family. Thanks for sharing all the resources!